Many people are looking for drug-free alternatives for pain management that is safe, convenient and affordable. Anyone that suffers from chronic pain and prolonged discomfort are turning to non-pharmacological alternatives for pain relief. Electrotherapy devices can be as effective in pain relief as medication without the drug-related side effects. 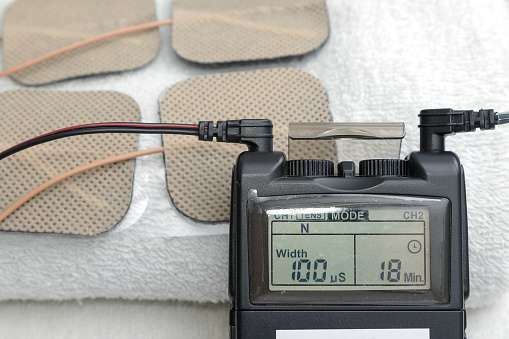 One of the most commonly used electrotherapy devices for pain relief are TENS machines. Effective pain control and pain management can by addressed by using a mild electrical current. Transcutaneous electrical nerve stimulation, also known as TENS, provides electrical impulses that reduce the pain signals going to the spinal cord and brain. The TENS machine may help relieve pain and relax muscles. A TENS device is a small portable battery-operated machine that provides electrotherapy. The device is worn on the body and the box is attached by wires to sticky pads adhered to the skin. The electrical signals go through the pads placed on the skin to the affected area, stopping the pain signals that go to the brain. The pulses, intensity, and frequency are always controlled by the patient. TENS devices are recommended by many sports professionals, kinesiologists, and physiotherapists for sports injuries. Doctors, clinics and medical practitioners have also recommended the TENS machine as it is proven to provide fast pain relief for many people with no side effects. TENS devices should not be used by individuals who have a pacemaker, pregnant women, or those with epilepsy. Electrodes should not be placed over lesions from dermatological conditions such as eczema or psoriasis. Patients with open wounds should not place the electrodes over the wounds, nor should they ever be placed over the eyes. This type of therapy is safe pain relief without the risk of addiction. Always read the label and instruction manual before using a TENS machine. The use of a TENS machine should be part of a pain management program under the guidance of your doctor.